It’s important to get the oil changed in your Mini Cooper regularly because otherwise the engine can build up a harmful sludge, regardless of the age the car is or its mileage. It is imperative to have the oil changed regularly in your Mini Cooper, but some cars need oil changes more often, depending on your driving habits, and the environmental conditions that your vehicle is exposed to. For example, do you ever drive in extreme weather conditions or along rough, muddy roads? Do you make lots of short trips or have to constantly stop and start in traffic? If so, those conditions aren’t considered normal and you’ll need to get your oil changed quicker than expected. The engine sludge that builds up is a thick substance that will clog the engine passages. Standard use of the engine will create gasses, vapour, fuel fragments and acids within it. These elements result from the combustion process and will rest in the motor oil. Regular oil change will get rid of them, but failing to do so will cause them to combine and form the aforementioned sludge. 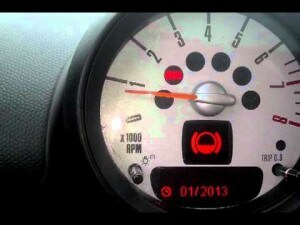 It’s essential that you get your Mini Cooper oil change and checked regularly. Massive build-up of engine sludge can damage your engine beyond repair. At German Car Depot we can clean up minimal amounts of sludge, but the ultimate recommendation is to not allow this sludge to form in the first place. You should have oil changes often, as part of the Mini Cooper regular maintenance schedule. German Car Depot will check and change your oil, along with assessing for any sludge. Your other car fluids will be checked at the same time too, all for a fraction of the dealership price.